The cards are in your favor - let everyone know you are "two of a kind" with our playing card wedding favors. 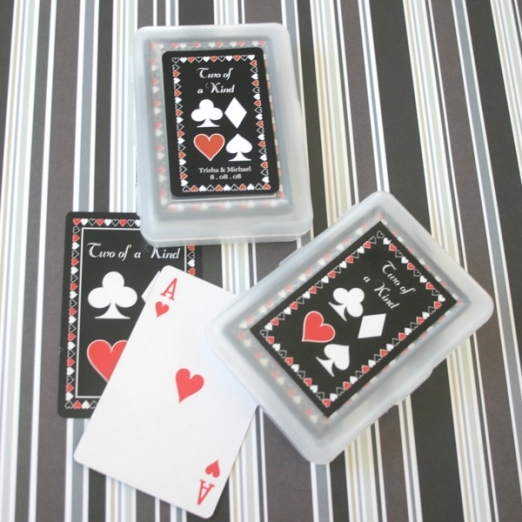 Each deck of cards is printed on black glossy stock with the words "Two of a Kind" and decorative red and white artwork. 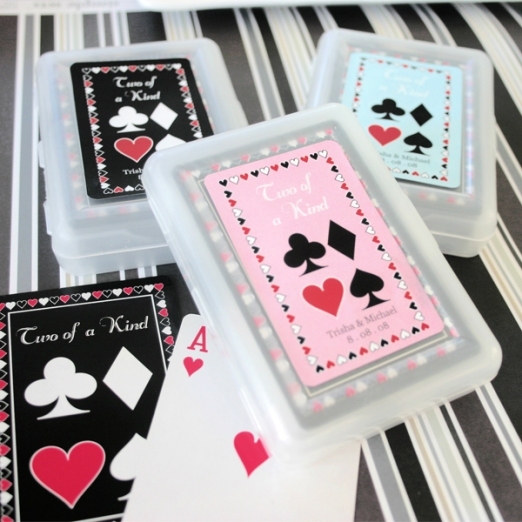 We've packaged the playing card wedding favors neatly in a clear box and include an un-attached "Two of a Kind" sticker you can place on the outside of the box. 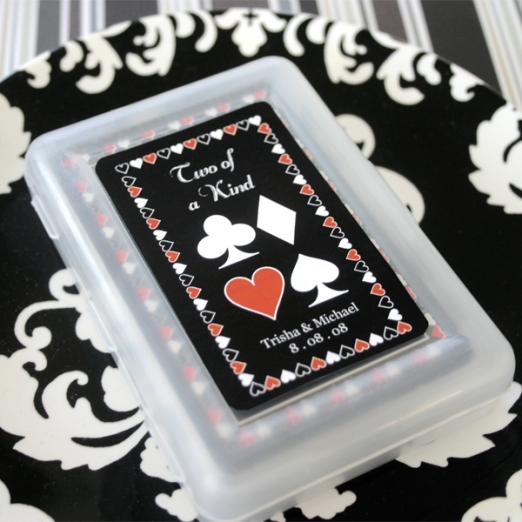 Note: When adding optional personalization, only the outside label color can be changed. 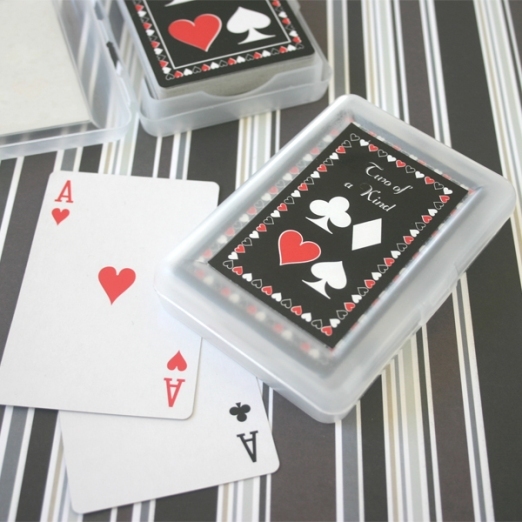 Actual playing cards cannot be personalized and will remain black in color. NOTE: When choosing optional personalization you may choose the label color when checking out. Unpersonalized labels come in black only. 24 or more required for purchase.